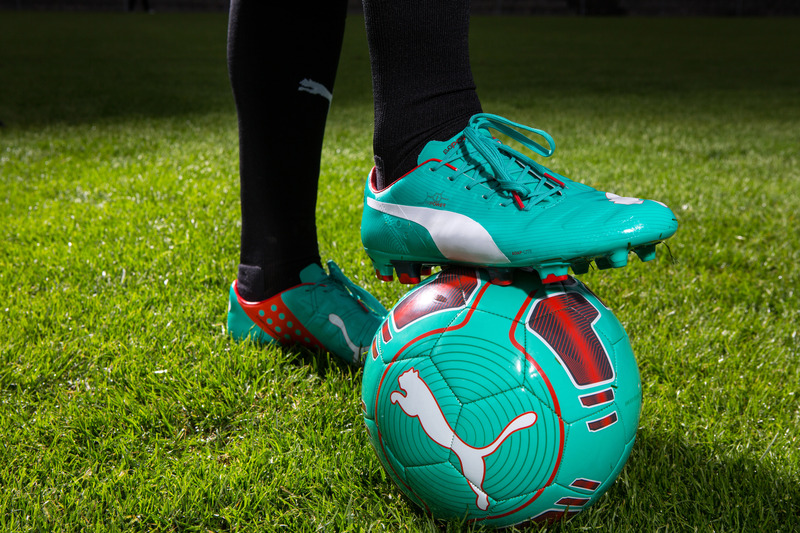 Sport-locker.net is pleased to announce that the latest edition of PUMA’s most powerful football boot, evoPOWER has hit the shelves and football pitches around the world. 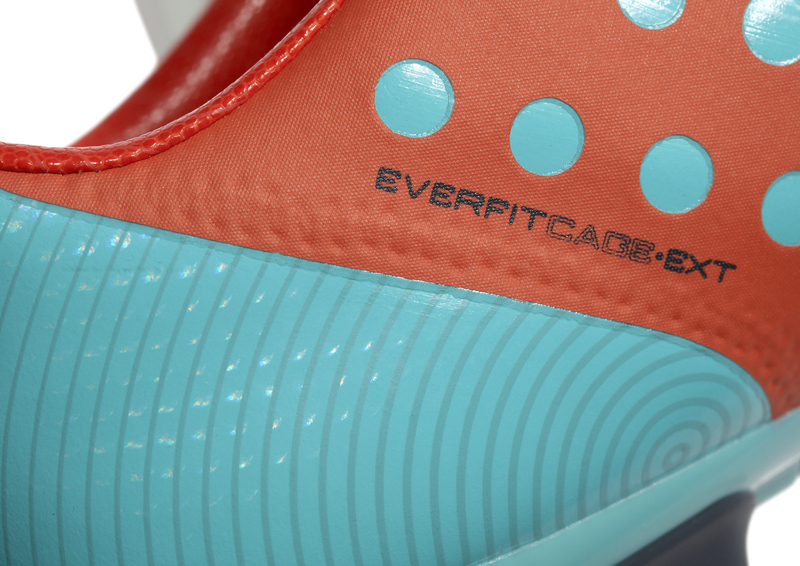 The striking pool green, white and grenadine colourway will be worn on pitch by Cesc Fabregas exclusively this weekend. 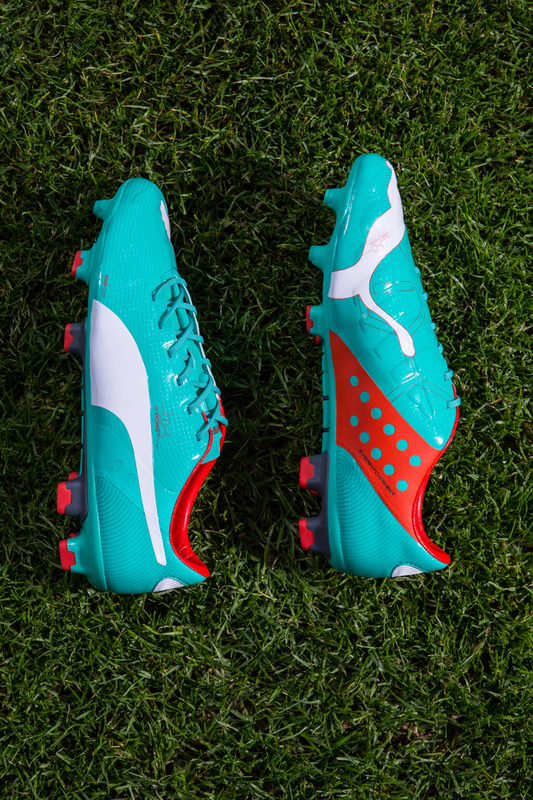 All other PUMA evoPOWER players including Mario Balotelli, Diego Godìn, Nemanja Matic and Dante will be following Fabregas’ lead the week after and move into the new boots. 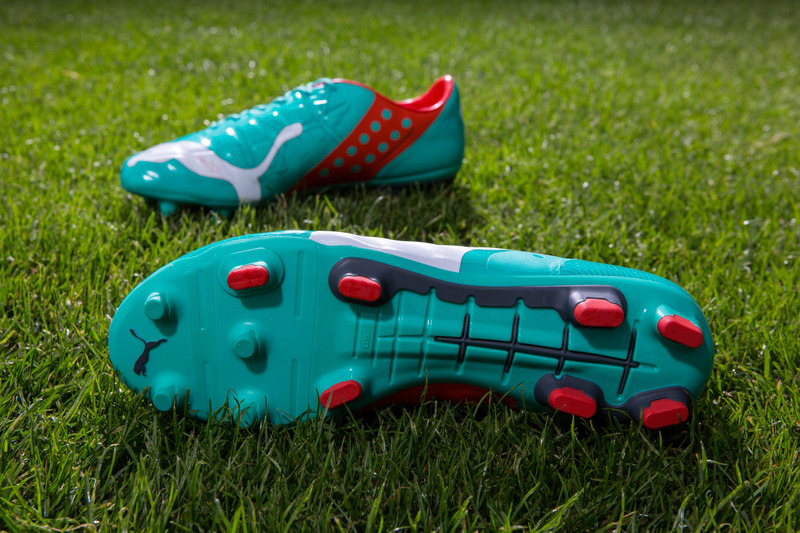 PUMA’s evoPOWER boot takes its inspiration from the natural flex movement of a human barefoot when kicking a ball, and allows the player to bend the foot almost naturally. Designed to enhance the true shooting ability through a clean kicking surface and a spine in the outsole that allows the foot to move more freely, it enables the player to shoot with maximum power and accuracy. Optimum support is given through a strategically placed external cage and the lightweight outsole, creating the perfect balance between stability and flexibility. The new pool green, white and grenadine evoPOWER will be available globally in-store from Saturday, 1st November. A full colour matching collection that features apparel products, indoor sports footwear, and accessories like shin pads and balls, launches simultaneously to equip sportsmen and women perfectly with the latest gear. 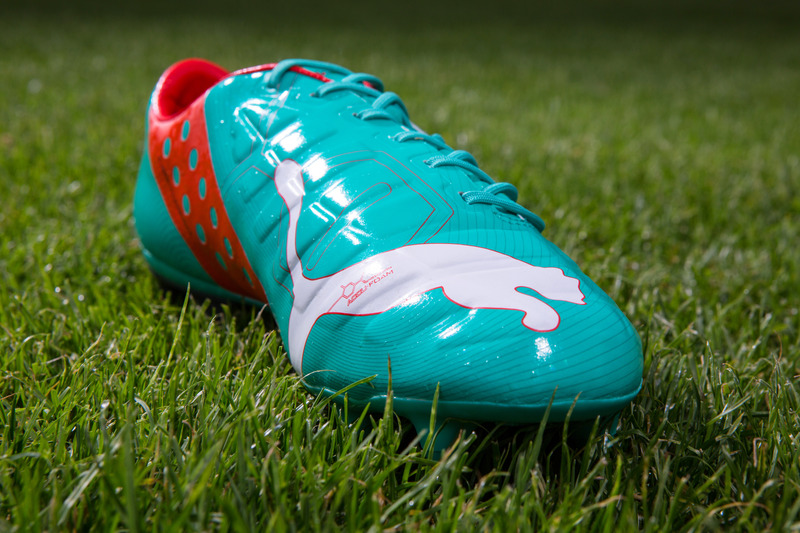 What do you think of the new PUMA evoPOWER colourway? Let us know in the comments section below or on our Twitter and Facebookpages.